Delivered Long Beach 1/11/43; Denver 27/11/43; Presque Is 11/12/43; Assigned 524BS/379BG [WA-H] Kimbolton 21/1/44; transferred 490BG Eye; with 157 missions was top aircraft in 8AF, and only one abort; returned to US 121 BU Bradley 28/6/45; 4168 Base Unit, South Plains, Texas 12/9/45; Reconstruction Finance Corporation (sold for scrap metal in USA) Kingman 10/11/45. TOPPER aka OL’ GAPPY. 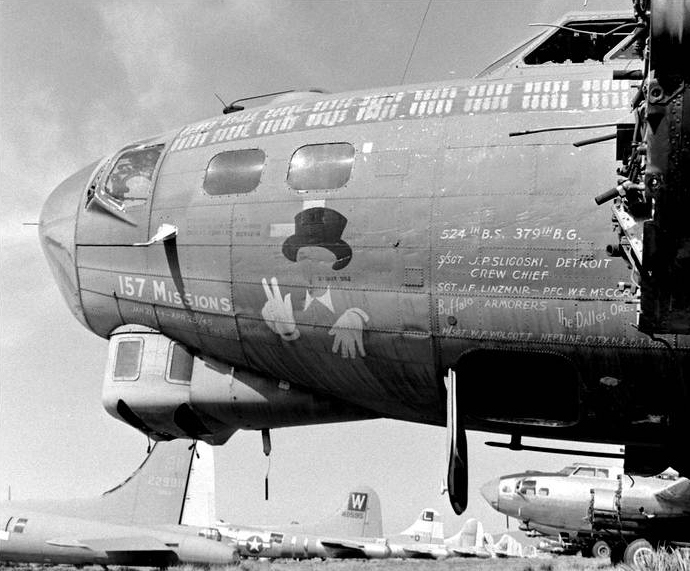 Her Nickname was first „Ole Gappy“ but her Nose Art had the ghostly figure of a dapper gentleman much like in the movie „Topper“. So it was known by either/or. Her claim to fame is her 157 Combat Missions which is considered the most of any other Heavy Bomber in the ETO. 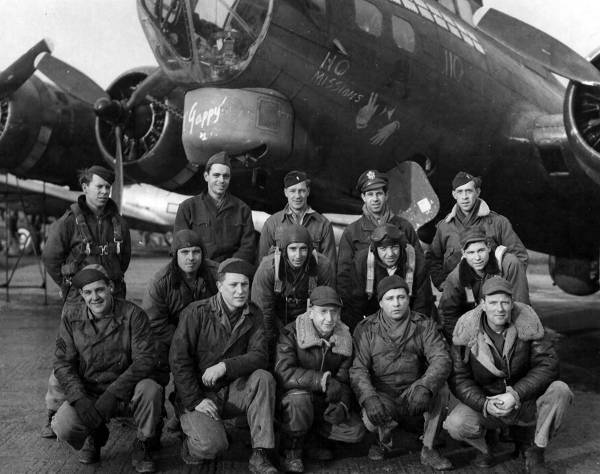 Her Ground Crew Chief was M/Sgt Joe Sligoski. www.strijdbewijs.nl // B-17 #42-40003 ‚Topper‘ aka ‚Ol‘ Gappy‘ in Kingman, Arizona.